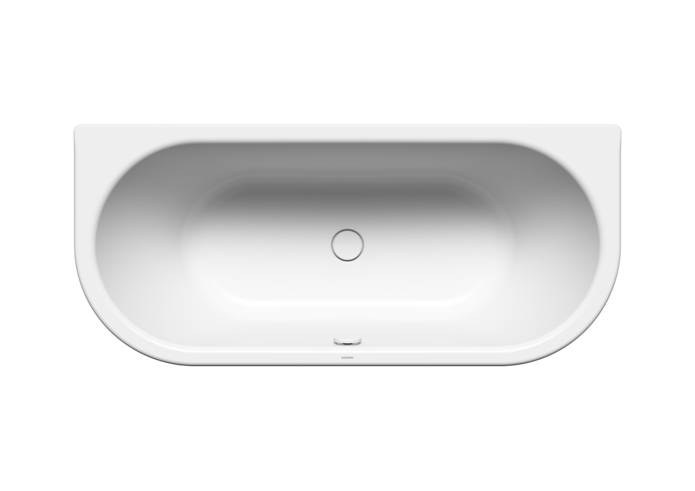 Pure and elegant.The basic oval shape, the extra depth of 47 cm as well as identical backrests and centrally placed waste, it’s also the right bath for two to enjoy comfortably. When the tap is turned on, the cover opens automatically, releasing an even stream of water into the bathtub. Requires a separate waste and overflow fitting.